If introducing a new dog to the home, take both dogs on walks together to create a bond between them. The ultimate friendship is the one between your pets. Whether expanding your family with a new pet or just hoping to bring your furry friends closer together, the right socialization takes time and care. Discover four helpful ways that will encourage your dogs to live in harmony. Walk them together. If you’re introducing a new dog to the home, take both dogs on walks together to create a bond between them. Keep them on separate leashes and walk between them to form a barrier so that they can explore their environments individually. Healthy separation. Meal time is one of the most important parts of a dog’s routine. Always feed your dogs at the same time but keep their feeding stations separate. Whether in separate rooms or separate corners, individual feeding spaces will ensure that your furry friends don’t become food aggressive. Separate eating stations will also ensure they receive the right nutrients for their individual needs, especially for dogs with sensitive stomachs. ACANA Singles dog food formulas are Biologically Appropriate to meet dogs’ evolutionary needs and contain limited ingredients with a single protein while offering delicious taste for dogs with food sensitivities. Keep things equal. It’s part of canine nature to be territorial, so dogs may feel the need to fight for their owner’s attention. Keeping activities, play time and cuddle time equal with each will minimize potential tension. When both pets are a priority they will feel equally loved, resulting in a healthy, happy home. Positive reinforcement in training. If you’re introducing a new dog to your family, it might be helpful to enroll your furry friends in a training class to be sure they know the house rules. This activity will ensure your pets understand the same commands and might even help them bond. When they show each other love or successfully answer to new commands, reward them with delicious treats. 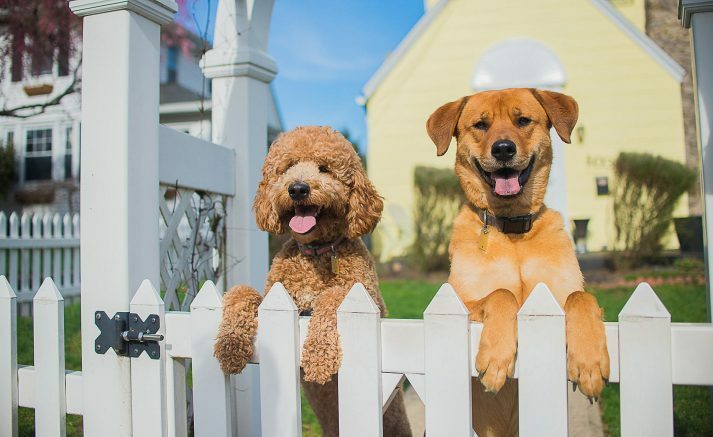 Be the first to comment on "Dogs in harmony: Helping your pets get along"